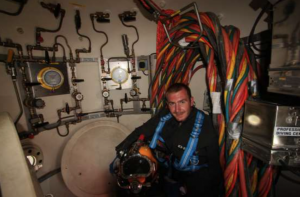 The PDC 4 man compact saturation system has a very small footprint, and is an ideal, portable 4-man saturation system for general civils work at sea or diver training, where the duration of the saturation diving operation is limited to a maximum of 4 man work. This is one of the smallest saturation systems operating in the world today if not the smallest and it is kept at PDC with the larger PDC 6 man saturation system which is also a small lightweight sat system compared to others. 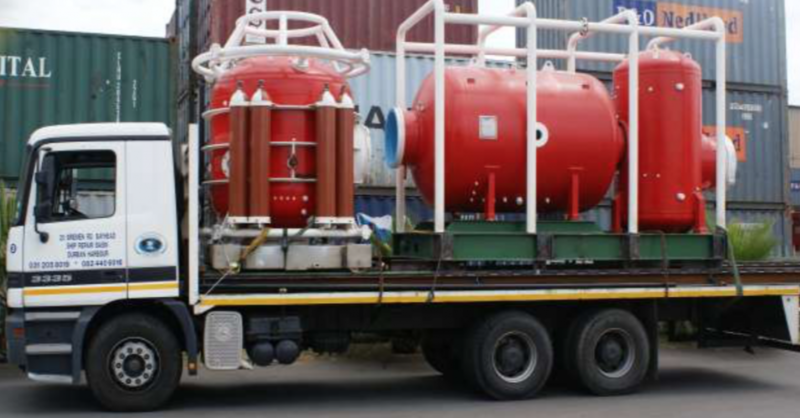 This PDC 4 man system provides a safe and cost-effective alternative to larger sat systems for diving operations down to 115 metres of water depth. 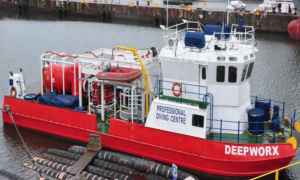 The owner of PDC Grant Jameson who has over 30 years of diving experience in the commercial diving industry is also a saturation diving supervisor who has spent time offshore working as a closed bell supervisor. He is also the Dive Supervisor on this small system as owner and operator he knows the system & its capabilities better than anyone else. 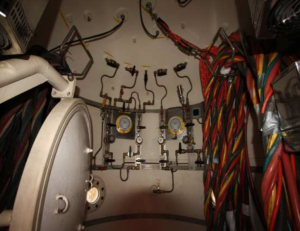 What is very unique about this sat system is that the Main Chamber and Wet Pot are also the Hyperbaric Rescue Chamber and this reduces the footprint & total weight of the system as well as provides the safety of the rescue HRC chamber. So if the vessel or barge carrying it had to sink the divers would be safe and they could be safely decompressed to surface in the HRC using the LSP (Emergency Life Support Package). 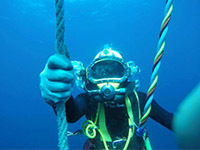 Without this feature the divers would be dead as they have to be decompressed in a certain manner from a saturation depth. 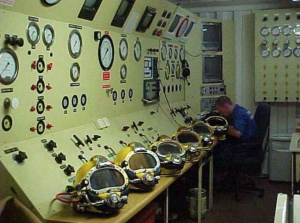 The system is rated and equipped for saturation diving to a depth of 115 msw. 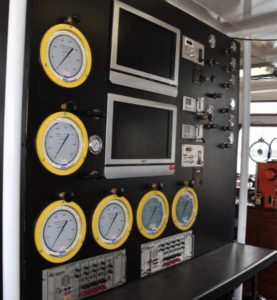 Light Weight Main Lock (ML) which doubles as a hyperbaric rescue chamber. Ready for Mobilization and connection to the other components. The complete assembly is part of the Main Chamber and Wet Pot (Transfer Lock) with rail launch system or float off option should the barge or vessel sink. weighs. No extra weight and space for a separate HRC. The Main Chamber and Wet Pot / TL are also the HRC. This HRC unit floats on its own. This chamber system is designed as both living and HRC. It is designed to be rapidly uncoupled and launched from the stricken vessel or barge in the invent of a fire or sinking. 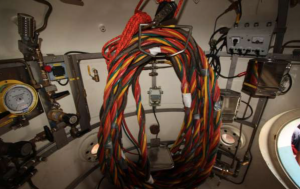 Included with the system is a Hyperbaric Rescue Control Van ( LSP Life Support Pack ) that enables topside personnel to control the decompression of the divers in the HRC from their storage depth to the surface in a safe and controlled manner, in the event the HRC system is deployed. 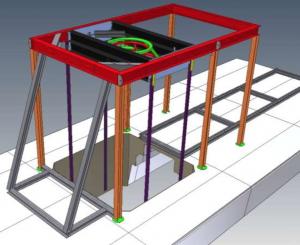 The Main Living Chamber, TUP, (HRC) , LARS and SDC are incorporated on a single large steel frame skid. This framework was designed in order to lift the complete system or to enable the system to be broken down into components. The frame is strongly built and rigid in order to remove any deck anomalies on the vessel which eliminates mating problems with the Bell to the TUP TL (Wet Pot). 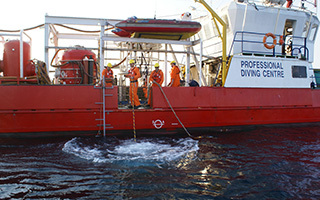 A hydraulically operated A-frame brings the centerline of the bell from its mated position to about 1.2 m overboard the vessel. 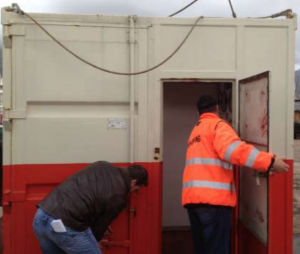 For smaller spaces and where barge or vessel stability is an issue the bell has a Gantry Launch and Recovery System for a moonpool launch operation which prevents the tipping or leaning action of a barge or vessel. 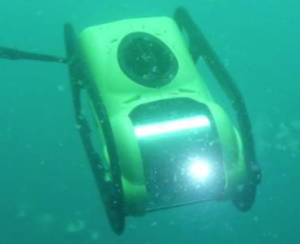 The PDC – ROV is available for U/W CCTV observations with the sat system. The PDC Closed Bell external below with the T.L. / (Wet Pot Chamber) on the right in the HRC frame with the TUP Trunk and Clamp for connecting the Bell. 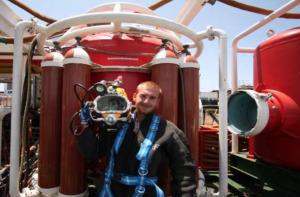 The Above 3 man PDC Closed Bell is normally used with the Mini Saturation system as the operations using this system are normally quick intervention dives and the bigger internal bell space allows for dressing the diver in faster. cylinder where additional oxygen is injected to make-up the required bottom mix pO2. 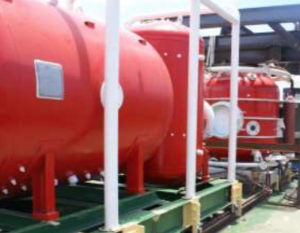 This LSP is kept on the shore nearby incase the HRC is evacuated from the Barge or Vessel due to fire or sinking or any other emergency requiring evacuation.